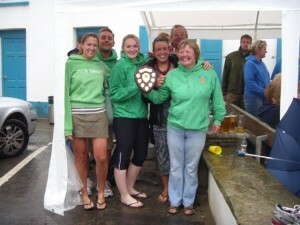 At their third attempt Crannog were finally given a break with weather and sea conditions and put on a great event. Tilly ladies did it again, winning their second league race in a row! They did it in some style finishing a considerable distance ahead of the rest of the 11 strong field. Well done team! 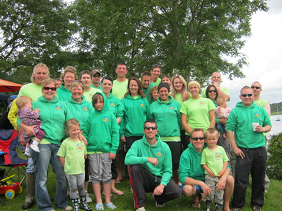 We had our first junior team competing since the club reformed 3 years ago. 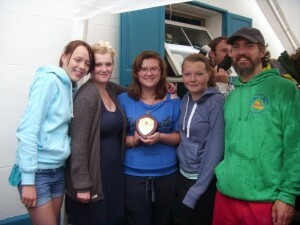 Tilly Juniors did really well in difficult sea conditions to win the under 18 girls race. Well done to all the girls and to Chris New (junior coach) who has worked hard with the juniors over the last few weeks to get the team ready to race. 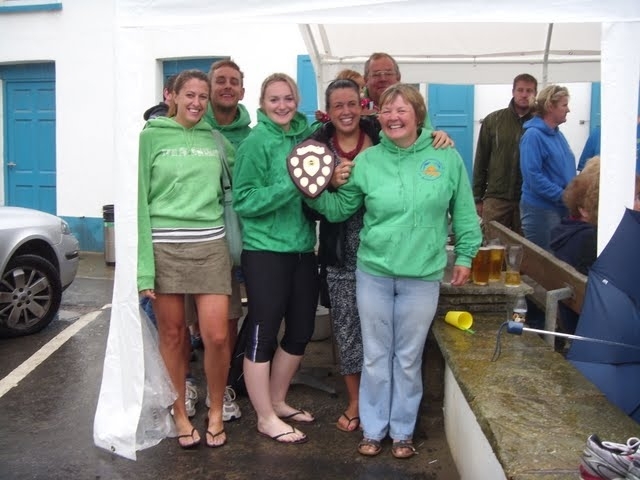 There was a good battle in the mixed race between the two Aberporth teams. Despite both teams being unfortunate at the start of the race they worked their way through the field but couldn’t shake off each other. They battled right to the end finishing in 7th & 8th with Dolwen finishing just 4 seconds ahead of Tilly Whim.